The new unloader valve ST-250 is particularly suitable for use in professional high-pressure units and vehicle washing. It can be operated with hot water up to 80 ° C.
It is equipped with a robust ball check valve and offers connection options for a manometer and 2 bypasses. 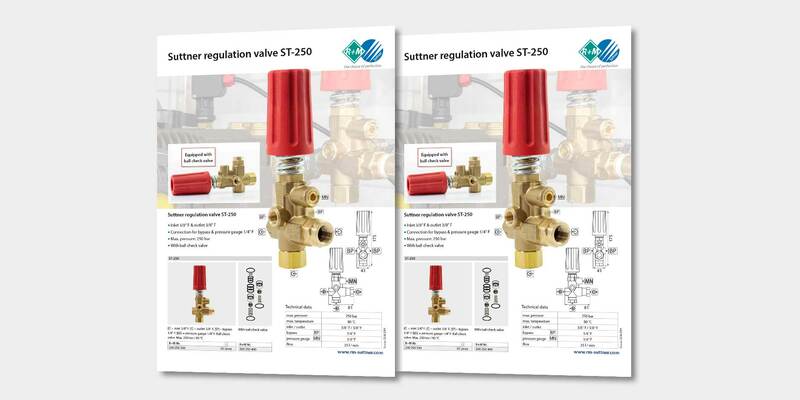 For further information about our new circulation valve ST-250, please refer to our data sheet.